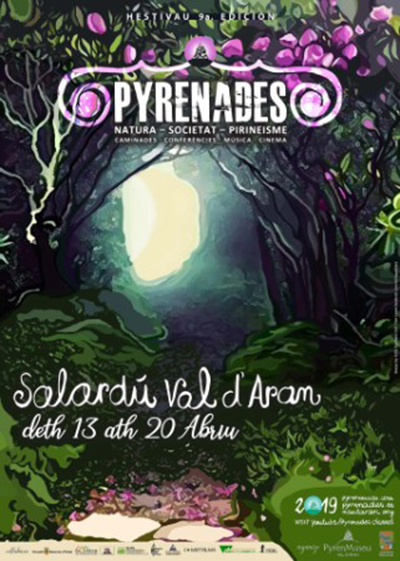 From 13 to 20 April, coinciding with Easter Week, a new edition of the Pyrenades Festival will take place in Val d’Aran, which this year celebrates its 9th edition. The festival, in the purest Pyrenees style, offers a varied programme of activities for both young and old, including nature, knowledge, mountain cinema, music, discovery, reflection, heritage and outdoor activities. For nine years now, the PyrenMuseu del Refugio Rosta de Salardú has been organising this festival which brings Pyreneism closer to all audiences. Pyreneism, is the movement of people who in the nineteenth century entered the Pyrenees motivated by sports practice and scientific and humanistic exploration of the area. With a program that combines all these elements, Pyrenades reinterprets its legacy and makes it alive today. Conferences, excursions, children’s workshops, cinema with the IX edition of the Mountain Film Festival 2019 and mountain music are the different activities proposed by the Pyrenades Festival. The inaugural conference “Identity and Heritage”, with heritage as the axis of community identity, will be given by historian Daniel Vilarrubí. The programme also includes the “Hestivau A Boca de Net”, sounds of Occitania, with Alidé Sans, an Aranese singer and member of the Stereo Val Accion Cultural association. The new PyrenMuseu project will also be presented and several conferences on environmental sciences will be held. In addition, the 9th edition of the Mountain Film Festival will feature the screening of films such as: Marathon the Great Captain – Climbing from A to Z in Yosemite, or A land shpaed by women with a debate on the situation of women’s winter sports. Pyrenades’ aim is to boost Salardú and the municipality of Naut Aran with a quality proposal sponsored by Naut Aran City Council, the support of the Conselh Generau d’Aran, Foment Torisme Val d’Aran and the collaboration of numerous entities. More information: Festival Pyrenades 2019.